Artistic progression in music can be tricky, especially with established acts. There’s an artist like David Bowie, who deftly moved from style to style while keeping his essence as a performer and a songwriter intact. Then there’s bands like AC/DC, who keep a single style and audience while rarely significantly altering their sound. 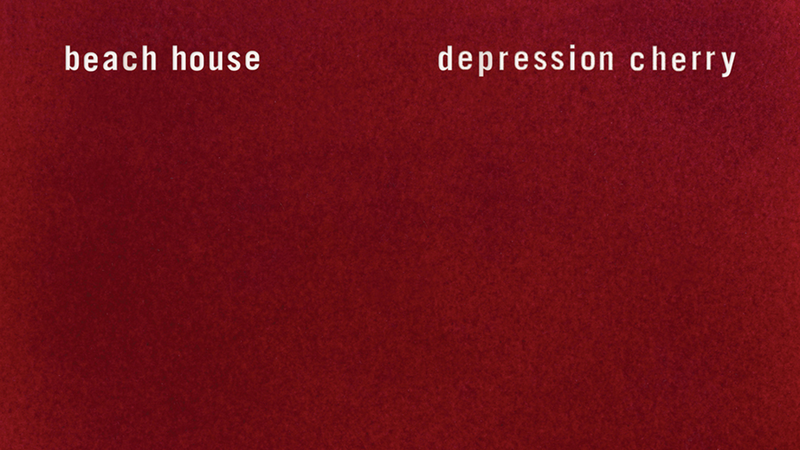 Depression Cherry, the newest album by Baltimore duo Beach House, somehow falls into both of these categories. The band holds onto their characteristically minimalist and ethereal sound while trying some new things out, but as anyone who has went through puberty can tell you, transitioning from one thing to another can lead to some awkward moments. Consisting of vocalist/keyboardist Victoria Legrand and guitarist Alex Scally, Beach House have been recording for almost a decade now. Although every one of their previous albums have been met with a significant amount of critical praise, their characteristically lush and melodic sound has become almost too obvious; with each release, the band seems to be in danger of becoming redundant. Depression Cherry comes at a point in Beach House’s career where a musical evolution would be welcome. Some tracks move the band’s sound forward beautifully. "Sparks," the lead single for Depression Cherry, is a very bold change from the band’s usual output. Ethereal synths with distant clear guitar melodies are replaced with discordant organ blares and distorted slide guitar. The song’s rhythms are at odds with one another; the drum machine pounds and the vocal loop repeats almost independent of the rest of the song. While all of these elements don’t sound like they would work on paper, everything comes together like gears in a finely made clock. What should be an aural mess goes together perfectly in a stroke of compositional genius. In the complete other direction, the final track "Days of Candy" opens with a stunningly beautiful choral arrangement. For a band with such a simple sound, an arrangement this lush is surprising and unexpected. So unexpected, in fact, that I had to sit down the first time I heard it. Despite it having never appeared in any previous track, the church-like chorus is something that meshes wonderfully with Beach House’s sound and is a welcome innovation. Standout moments like those, however, only highlight the album’s relative shortcomings. In a press release for the album, Beach House expressed a desire for a “return to simplicity.” While returning to one’s roots isn’t inherently regressive, it can seem that way when juxtaposed with tracks that are comparably more experimental. There are clear moments or elements of novelty in almost every track, but they’re surrounded by disappointingly conventional songwriting. Especially in these tracks, Depression Cherry feels like a bowl of oatmeal: hearty and satisfying, but at the same time dense and bland. While this isn’t terrible, it is disappointing when considering the innovation on the song "Sparks" or the band’s previous work. Tracks like "Space Song" or "PPP" aren’t unpleasant to listen to, but they seem like half baked imitations of the band’s previous work. The songs seem safe, with none of the strength in songwriting that the band’s previous albums had. This is especially present in the track "10:37"; with such bare instrumentation, it’s so uninspired it feels more like a demo for a song than a finished track. This bland safety extends to more than just the songwriting. Legrand’s vocals on previous albums were a gorgeous mix of raspy and elegant, giving her lyrics just that much more weight and believability. On Depression Cherry, she attempts a more ethereal approach, singing in a vocally overdubbed higher register. While before her voice was the aspect of song the listener could emotionally latch onto, on this album her voice becomes just another sound. A pleasant and harmonious one, but just a sound nonetheless. When a caterpillar makes its transformation to a butterfly, it turns into viscous goo so it can restructure at a cellular level and reach its beautiful final form. Depression Cherry very well might be the caterpillar-goo stage of Beach House’s creative arc; the album has moments that are brilliant and impeccably executed. It’s also possible that this album is more closer to a bowl of oatmeal, a satisfying but ultimately safe creative endeavor by artists who can and have done better. Regardless of where it takes Beach House, Depression Cherry is a solid effort and worth a listen, especially in regards to some of the album’s standout tracks. Unfortunately it falls short, albeit inoffensively, of the band’s tremendous previous work. We can only hope Beach House emerges from their creative cocoon as a magnificent butterfly, and not a slightly older bowl of oatmeal.